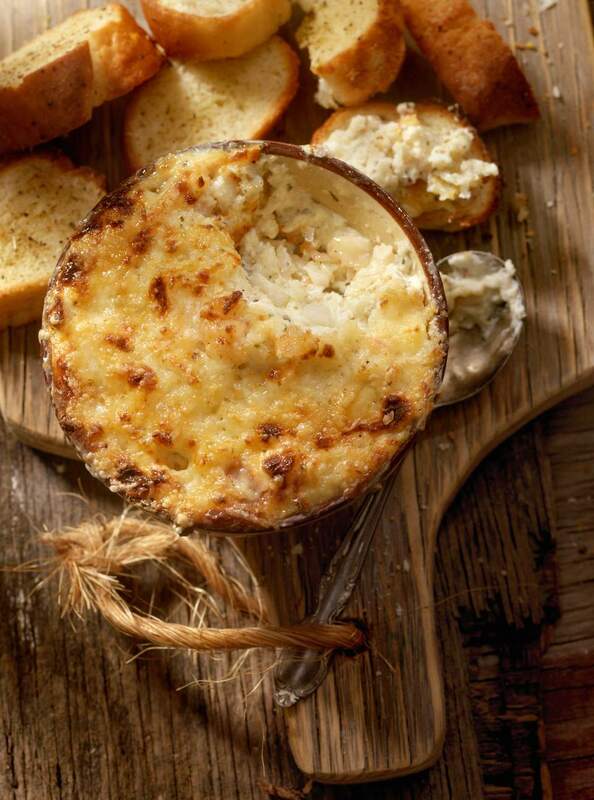 This hot seafood dip is made with lobster, crabmeat, and shrimp, along with cheese and spices. Cream of shrimp soup makes it extra-easy, and the spices flavor it perfectly. If you don't have lobster, use a combination of shrimp and crab, or make it with 1 1/2 to 2 cups of shrimp or crabmeat. This can be cooked on the stovetop as well. Top it with extra shredded cheese and put it under the broiler to brown if you'd like. Butter the bottom and sides of slow cooker. Combine all ingredients except bread cubes in prepared slow cooker; stir well. Cover and cook on low for about 2 hours, or until cheese has melted. Keep slow cooker on low for serving. Serve with bread cubes for dipping. Makes about 6 cups of dip.